Divorce can be a highly stressful, life changing event. At Hoff, Bushaw & Matuszak, we will work with you to help ease your concerns and keep the process moving forward as smoothly as possible for you and your family. Wisconsin is a “no fault” divorce state. This means that as long as either you or your spouse allege that your marriage is irretrievably broken and that there is no reasonable prospect of reconciliation, the court will grant a divorce if all the right steps are taken. The process begins with the filing of a summons and petition of divorce and ends after a final divorce hearing. The attorneys and staff at Hoff, Bushaw & Matuszak will guide you through and represent you at every step of the way. Many divorces include issues such as child custody and placement, child support, division of property, and spousal support. These issues can be very difficult, particularly on an emotional level. We will keep you advised of your rights and responsibilities throughout the divorce process and help you make the decisions that are best for you and your family. If you are considering divorce, or if you have already begun the process yourself and are unsure if you need assistance moving forward, feel free to give us a callgive us a call for a free initial consultation. Attorney Daniel J. Hoff, Attorney Amy L. Matuszak, and Attorney Brian J. Bushaw will be more than happy to assist you with any questions you have. If, for whatever reason, you want to separate from your spouse but do not want to get legally divorced, Hoff, Bushaw & Matuszak can help you obtain a legal separation. The legal standard for a legal separation is different than for divorce. One spouse need only allege that the marriage is broken. 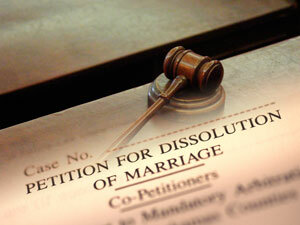 Also, if you change your mind during the legal separation process, we can convert the proceedings into a divorce. A legal separation may include many of the same issues as a divorce, such as child custody and placement, child support, division of property, and spousal support. Many times, couples choose to go through a legal separation rather than a divorce for religious reasons. If you are considering a legal separation or divorce, feel free to give us a callgive us a call to set up a free initial consultation. Attorney Daniel J. Hoff, Attorney Amy L. Matuszak, and Attorney Brian J. Bushaw are more than willing to meet with you and help you decide whether legal separation or divorce is right for you.